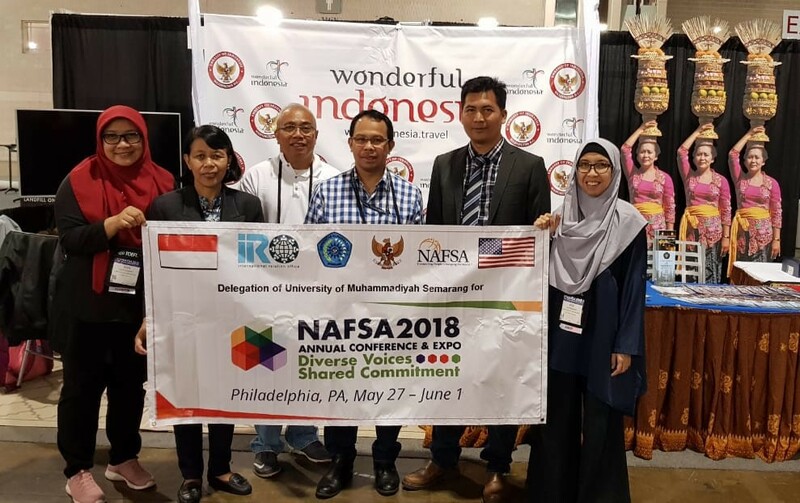 Philadelphia | May 28, 2018) National Association of Foreign Student Adviser (NAFSA) is an international annual meeting for education stakeholders, promotors, and institutions that develop professional education in the world. NAFSA 2018 is themed “Diverce voices, shared commitment”, aiming at exploring different voices to get new ideas that are more authentic in collaboration of international education. 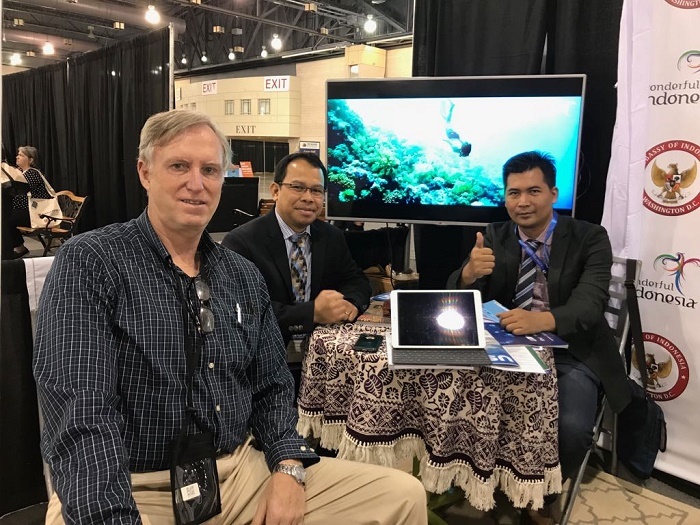 Taking place in Pennsylvania Convention Center in Philadelphia, United States of America, Universitas Muhammadiyah Semarang (Unimus) becomes one of institutions that represent Indonesia in the NAFSA on May 27-June 1, 2018.
left to right: Stanley Harsa (President of US-Asia Education Exchange), Bhimo Widyo Andoko (Education Attaché of the Indonesian Embassy in Washington DC and M. Yusuf (Unimus IRO director). “This event opens a chance for educational institutions in Indonesia to extend the international network, for many developed countries and internationally-reputable universities come and offer partnerships,” Muhammad Yusuf, Ph.D., the director of Unimus’ International Relations Officer (IRO) added. He represents Unims in that event. On the same occasion, he also going to disseminate his the result of his research in the US. The research is funded with a postdoctoral grant by the Ministry of Research, Technology, and Higher Education.